The global firm saw a double-digit rise in profits while gross revenue neared the $3 billion mark. 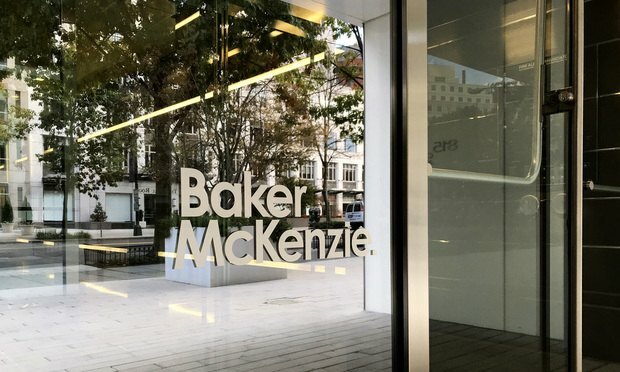 Baker McKenzie saw revenue and profits per equity partner climb to new heights in 2017-18, with gross revenue reaching a record $2.9 billion across the global verein. Less than a year into the transatlantic merger, the firm has lost every single team member from the legacy Bryan Cave's Asia team. Here's how it happened. Four international trade and regulatory lawyers have joined Crowell's offices in Los Angeles and Washington, D.C., and a seven-member Shanghai team has joined the firm's affiliate consulting business as Crowell awaits a Shanghai license.